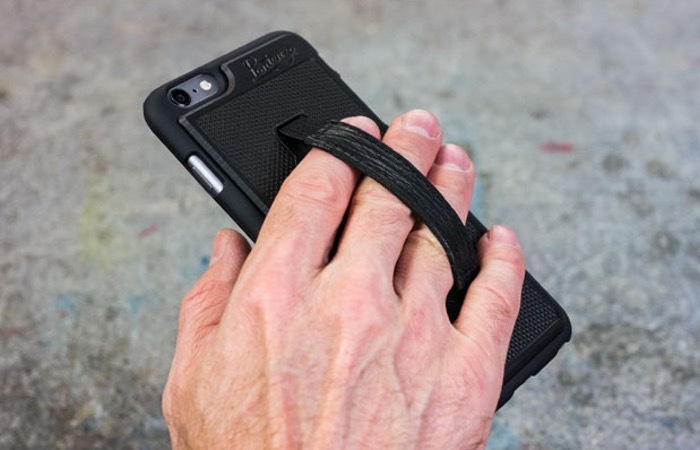 iPhone 6 Plus owners that find holding their new smartphone a little tricky, when compared to the smaller iPhone 5S or iPhone 6, may be interested in a new iPhone 6 Plus case called the ArmorGrip. The ArmorGrip iPhone 6 Plus case not only makes it easier for you to hold and use your new Apple phablet. But also provides extra protection against the dreaded “bendgate” problem. Making sure your new larger Apple smartphone doesn’t bend when inserted into your pocket during use. “The ArmorGrip is practical. The elastic band on the back of the case allows your to hold your iPhone 6 or 6 Plus without having to reach the width of the phone. You will have full, one-handed access to your screen for texting, emailing, scrolling, and swiping. So if you think iPhone 6 Plus case is something your smartphone could benefit from, visit the Kickstarter website now to make a pledge via the link below.